1 year ago Buster my Mixed 8yr old suffered from a torn ACL. 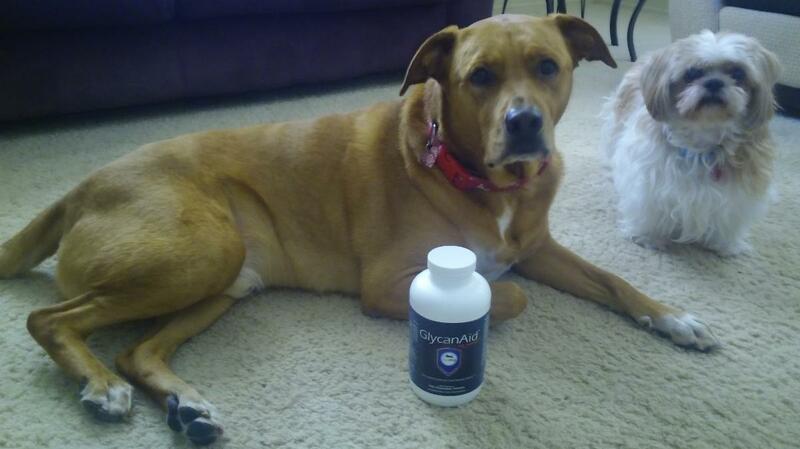 GlycanAid-HA was highly recommended by his surgeon for a lifetime joint supplement. Today my 85lb would-be athletic takes it a little slower on doctors recommendation, enjoying a pain free, very active lifestyle. In addition he eats GlycanAid tablets like treats. They don’t upset his stomach, and looks forward to the toss-up and gulping them down. Thanks for the opportunity and gift of Glycanaid. P.S. The scruffy old guy is Brutus…waiting for his treat and equal billing.